A dog had three puppies, named Mopsy, Topsy and Spot. What was the mothers name? 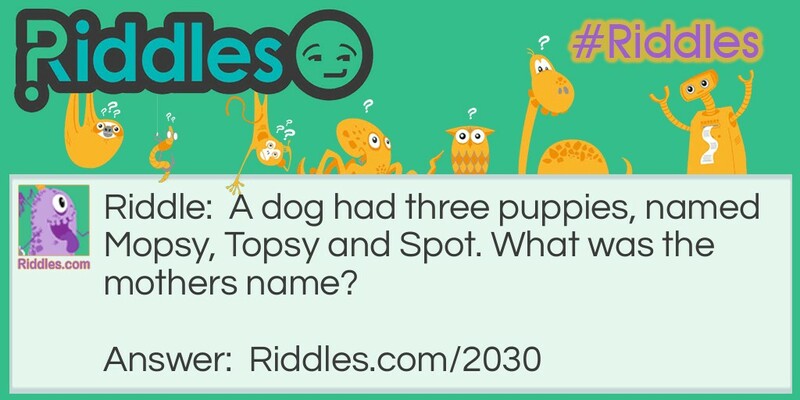 Puppy Love Riddle Meme with riddle and answer page link.